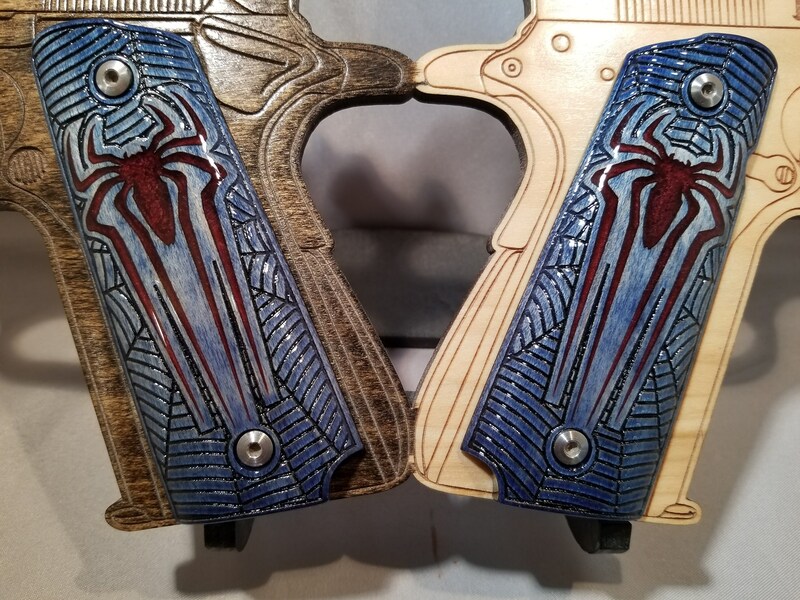 This sweet set will bring out your inner Spider man! 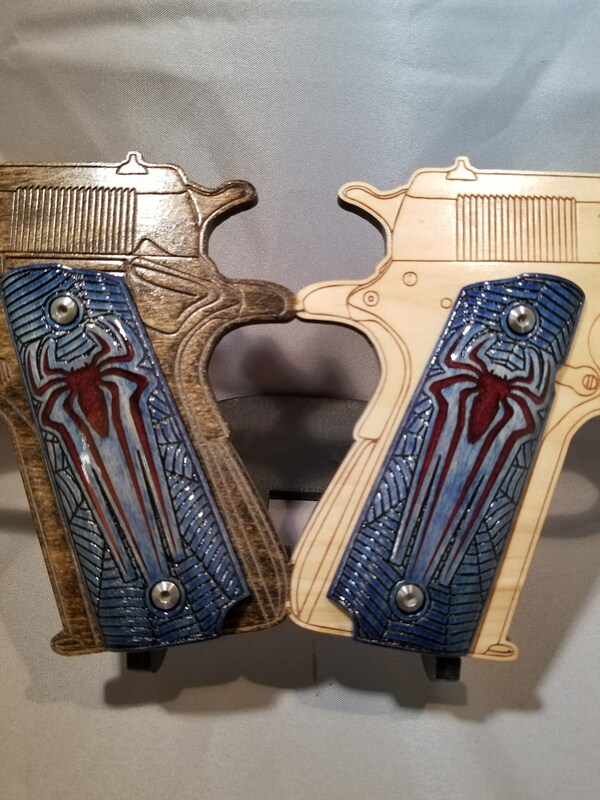 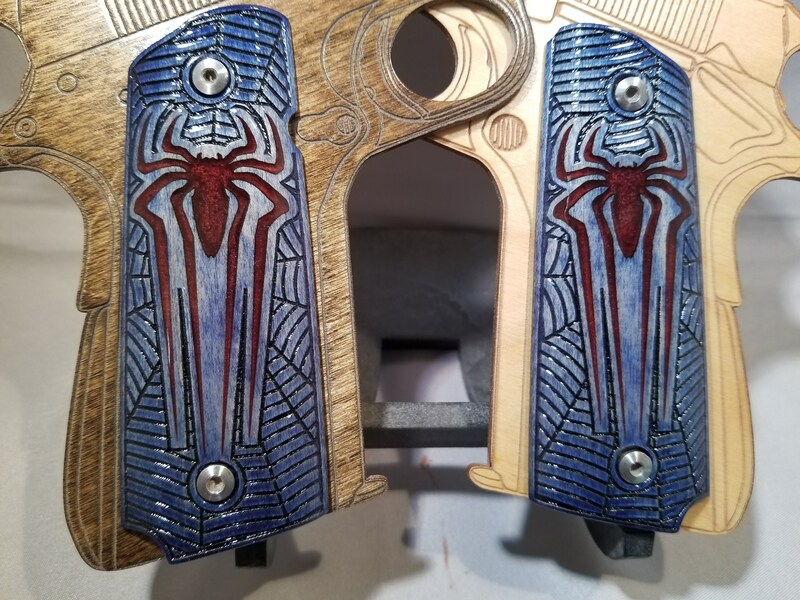 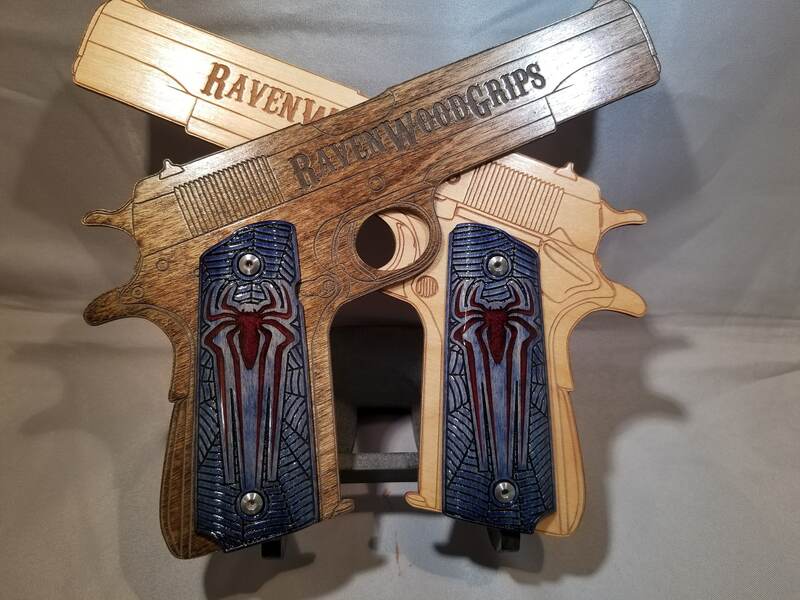 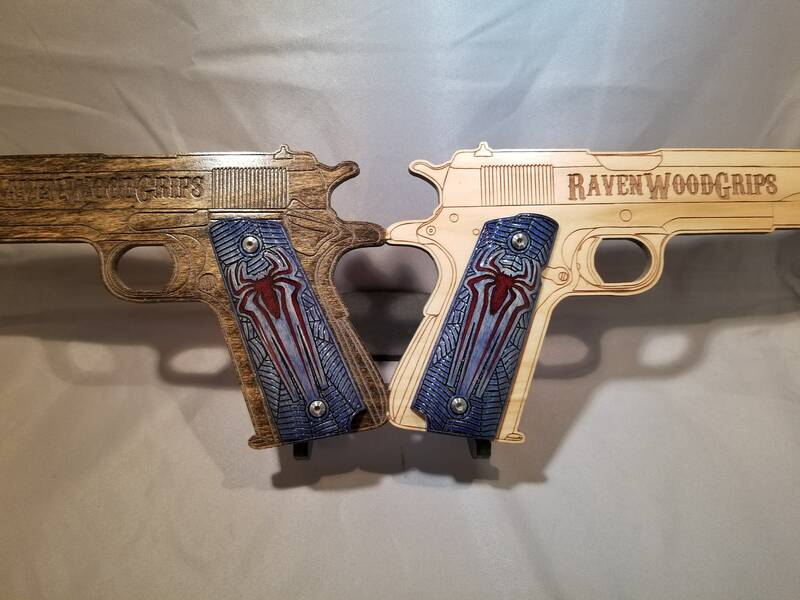 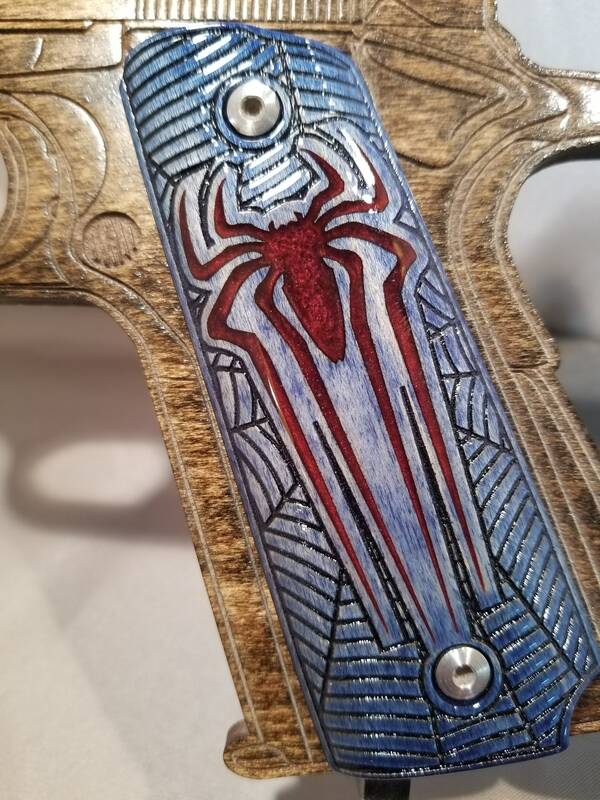 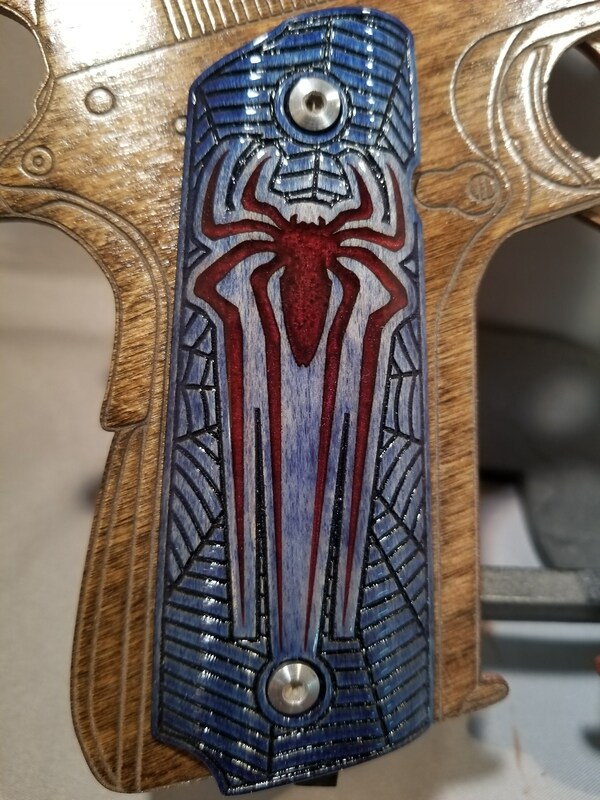 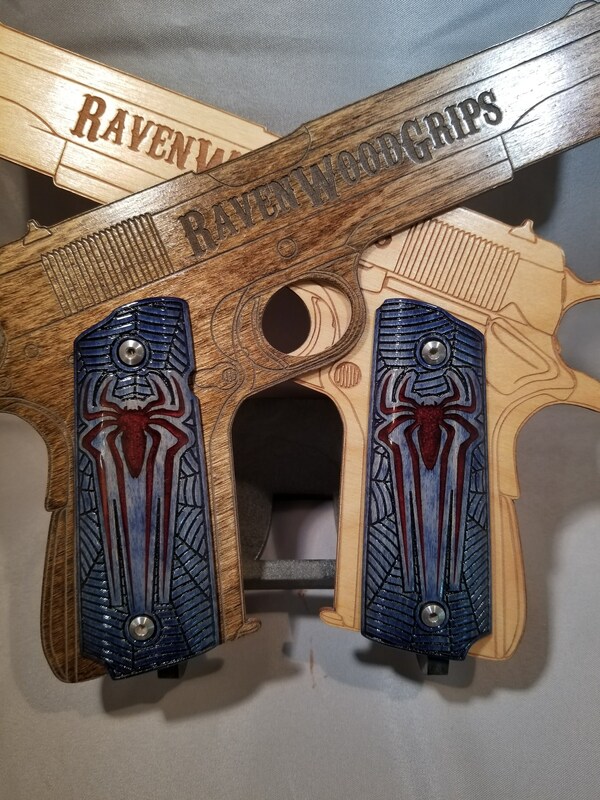 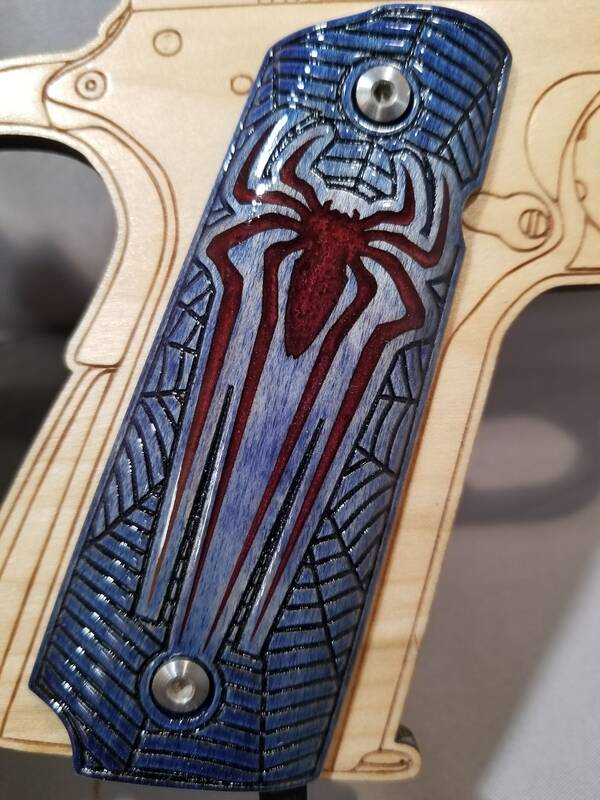 They have a beautiful RED spider inlaid in the center, surrounded with stylized web patterning throughout the rest of the grips! 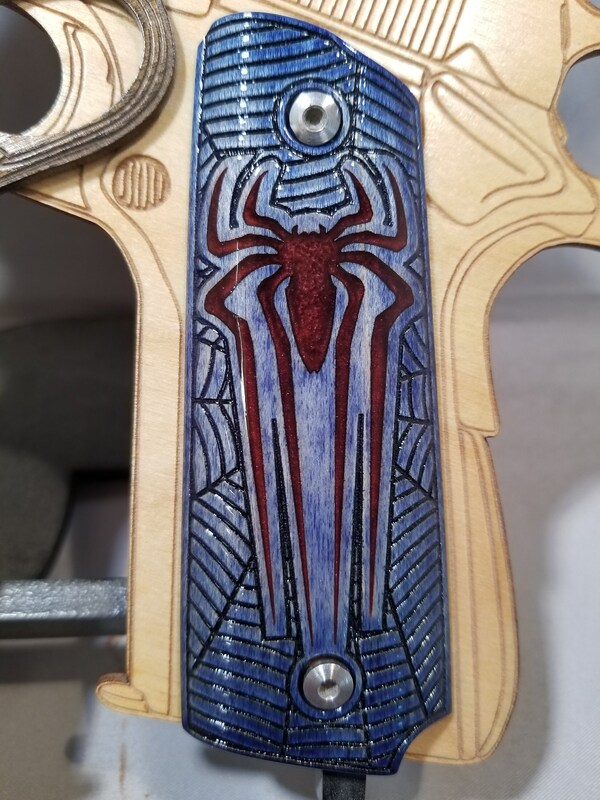 These are made from Maple, which is DYED BLUE, and the spider logo is inlaid in RED pearl resin.